It’s official- this is how I’m making pasta from now on! Roasting pasta on a sheet pan is an absolute game changer– every bite is crispy just like the fantastic top layer I always pick off of any pasta I bake in a casserole dish. 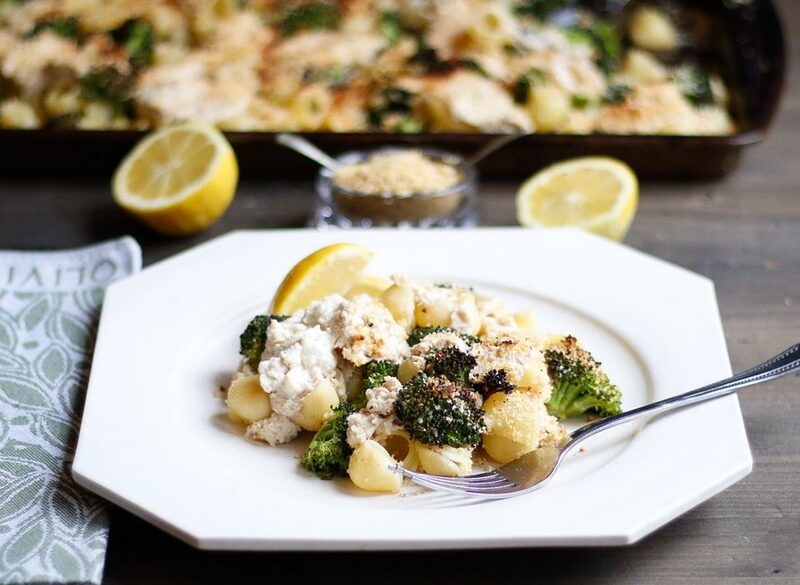 The crunchy topping with bites of pillowy ricotta mixed in make this Sheet Pan Roasted Broccoli Pasta seem indulgent, yet it’s nutritional and flavor profile is really quite light! 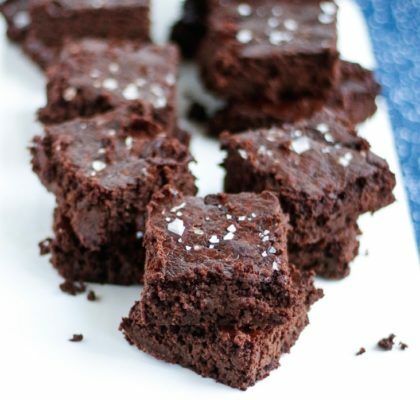 Yeah, it’s probably best to keep the pan nearby…because you’re going to want seconds. 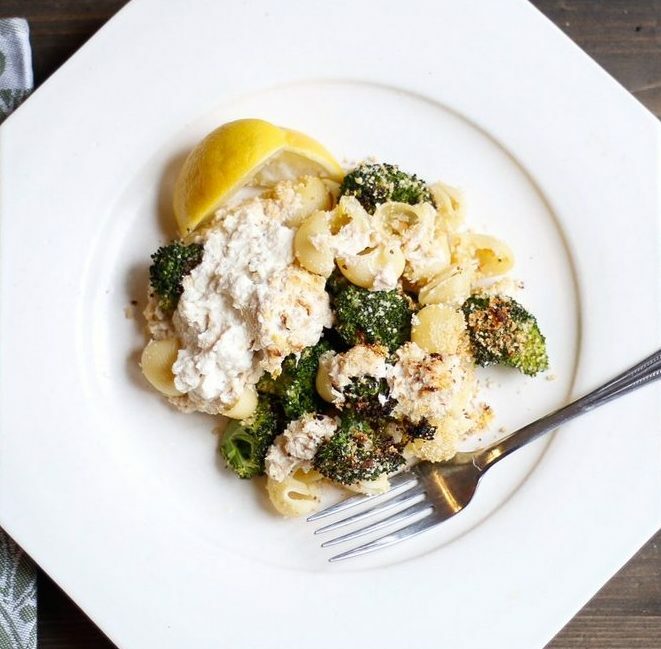 The pasta is chewy and crunchy, the ricotta is soft and smooth, and the broccoli is crispy and caramelized after being roasted to crusty perfection. This Sheet Pan Roasted Broccoli Pasta is all the things I love-creamy, salty, and garlicky- but the real flavor differentiator comes from the hint of lemon that adds a bit of brightness I don’t normally find in a cheesy pasta dish. I was skeptical at first of this addition- but the flavor is subtle, and adds just enough zang to enhance the flavors of the other ingredients, without adding more fat or sodium. Broccoli is best known for it’s anti-cancer properties, high levels of vitamin C, and for being one of the top sources of vitamin K. Broccoli contains sulphoraphane, a compound that has been shown to reduce the number of carcinogens and free radicals in the body, which can help stop the spread of cancerous tumors for those that are already affected. Vitamin C is not only good for your immune system and skin, but it can also assist in weight loss by maximizing body fat oxidation during moderate exercise. This is likely the result of vitamin C assisting in the production of L-Carnitine,the shuttle that brings fatty acids into the mitochondria of your cells to be burned for energy. Finally, vitamin K is best known for increasing calcium absorption, thus increasing bone health, with just 1 cup providing over 100% of your daily vitamin K needs. 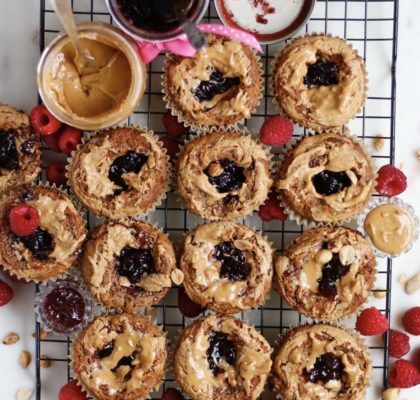 This recipe was originally inspired by a post in New York Times Cooking. 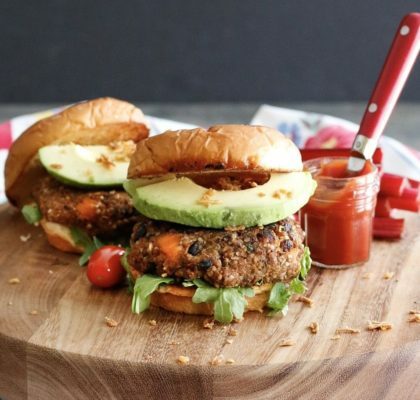 It looked so delicious, I immediately recreated it in a plant-based way, following the recipe below. So what are you waiting for?! Grab the ingredients for the easiest, healthy dinner ever, and discover the incredible world of sheet pan pasta. I can’t wait to hear what you think! -Heat the olive oil in a medium skillet, then add the chopped onion. Sauté until softened, then add the minced garlic and cook until fragrant (~1 minute). Add the veggies to a food processor with the remaining ingredients, and blend until thick but smooth. Store in the refrigerator. Can be made 3-5 days in advance. To save time, stress, and mess, prepare the vegan ricotta and vegan parmesan in advance. Then, preheat oven to 425F while you cut the broccoli into florets. Spread in an even layer on a large rimmed baking sheet, and toss with oil, crushed garlic, sea salt, and red pepper flakes if you like spice (I do not). Bake 16-20 minutes until soft and lightly browned. Remove from the oven, and turn the oven to broil. Meanwhile, bring a large pot of water to a boil, and cook pasta according to package instructions. I recommend cooking for 1 minute less than the lowest cooking time- so the pasta doesn’t get mushy. 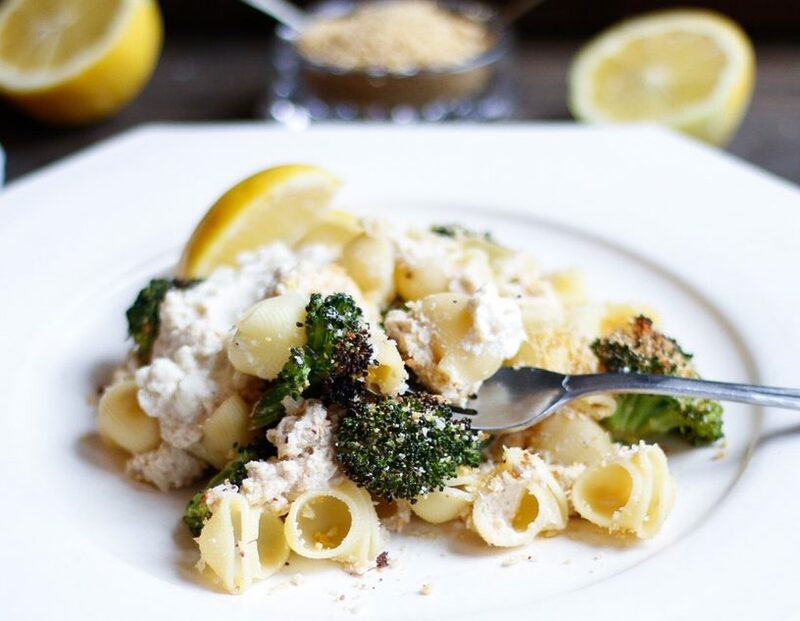 Drain pasta and toss with roasted broccoli. 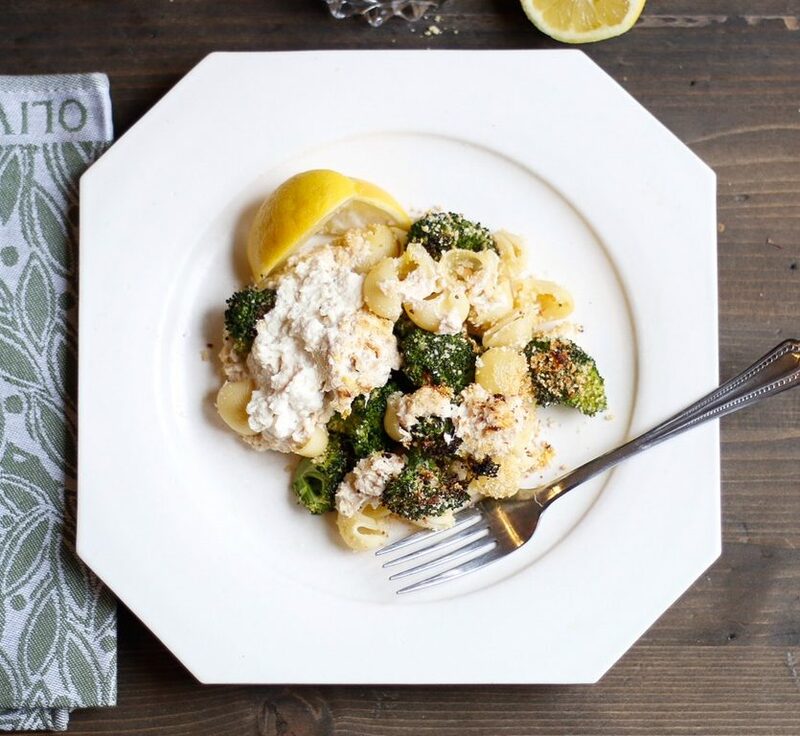 Dollop the ricotta all over the pasta and broccoli. 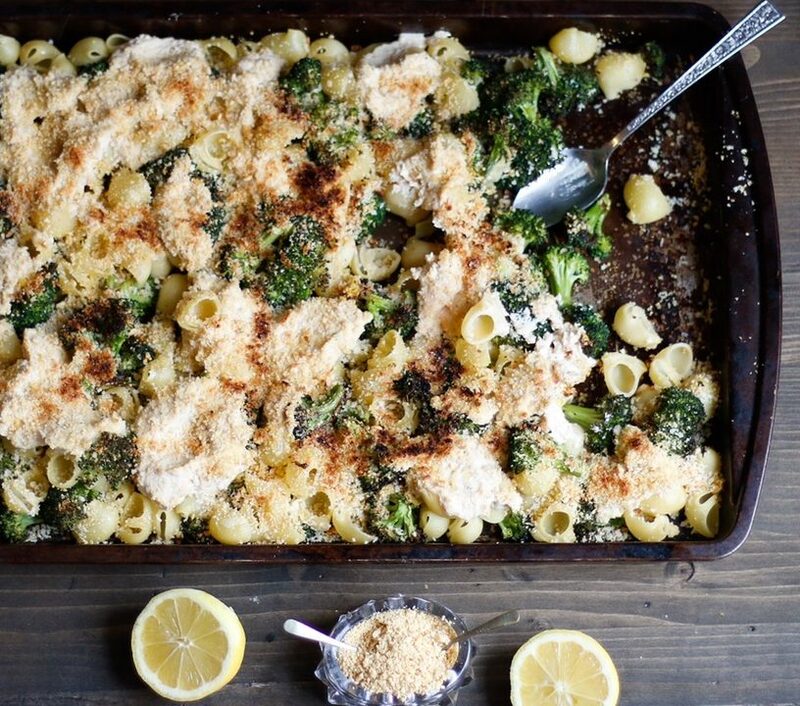 In a separate dish, combine the vegan parmesan, breadcrumbs, and lemon zest. Sprinkle over the pan, then drizzle with as much olive oil as you’d like. Season with sea salt to taste. 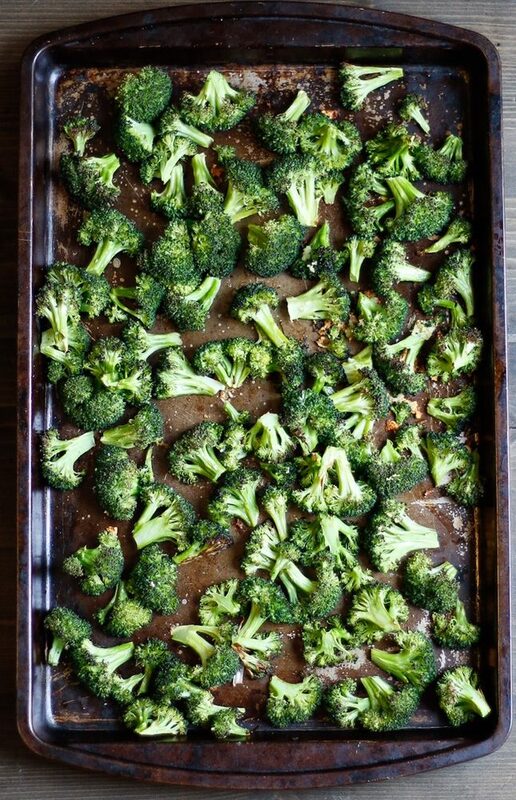 Slide sheet pan underneath the broiler for 2-3 minutes until the top is lightly browned and crisp. Drizzle with lemon juice before serving.